Before starting work with ECDPM, she was an experienced development practitioner, notably in Kenya and Afghanistan. In Afghanistan she worked for seven years as an advisor to several Afghan government ministries, during which she became strongly motivated to improve the institutional responses to peacebuilding and post-conflict reconstruction. After Afghanistan, she became an associate fellow at the Centre for International Development at the Harvard Kennedy School (US), where she promoted more systemic ways of thinking about international development. At ECDPM she conducted applied policy research and analysis, notably in the fields of governance, fragility and resilience, conflict prevention and peace building, and strengthening civil society in post-conflict settings. As ECDPM Programme Associate she will continue to work in this arenas of work, but will focus more on the role of leadership in peacebuilding. Below are links to all relevant ECDPM publications by Frauke de Weijer. 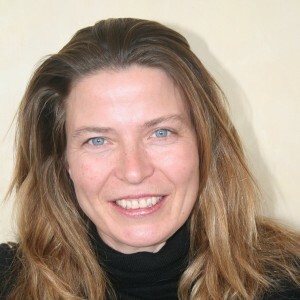 Also see Frauke de Weijers’ external publications and contributions. Understanding African and European perspectives on migration: Towards a better partnership for regional migration governance? Resilience: A Trojan Horse for a New Way of Thinking?